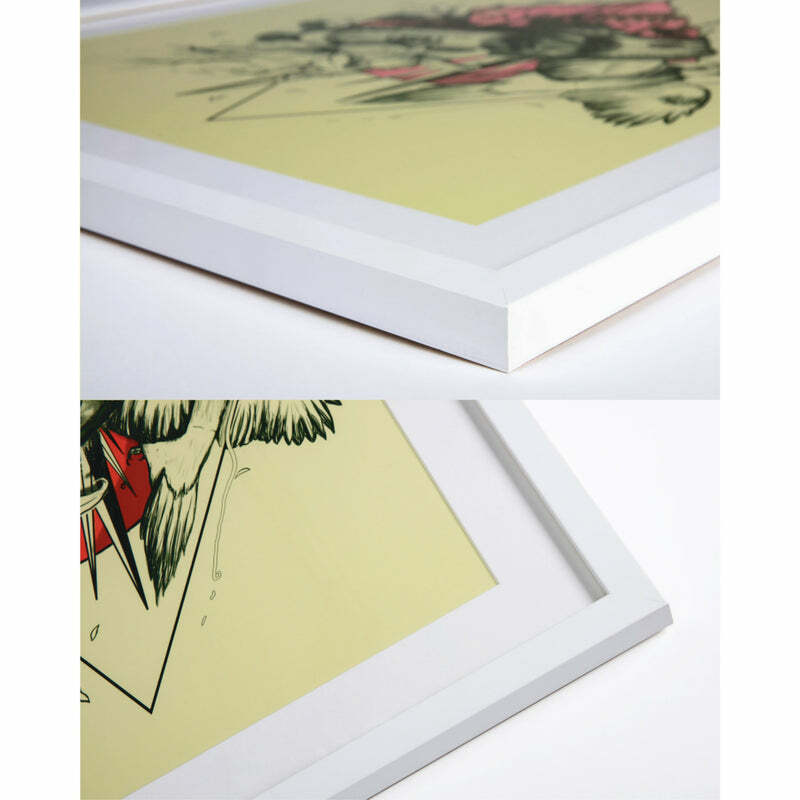 Snoqualmie is a tribute to the Snoqualmie Pass Region. A vintage map of the region overlays a photo collage of characteristics of the Pacific Northwest. 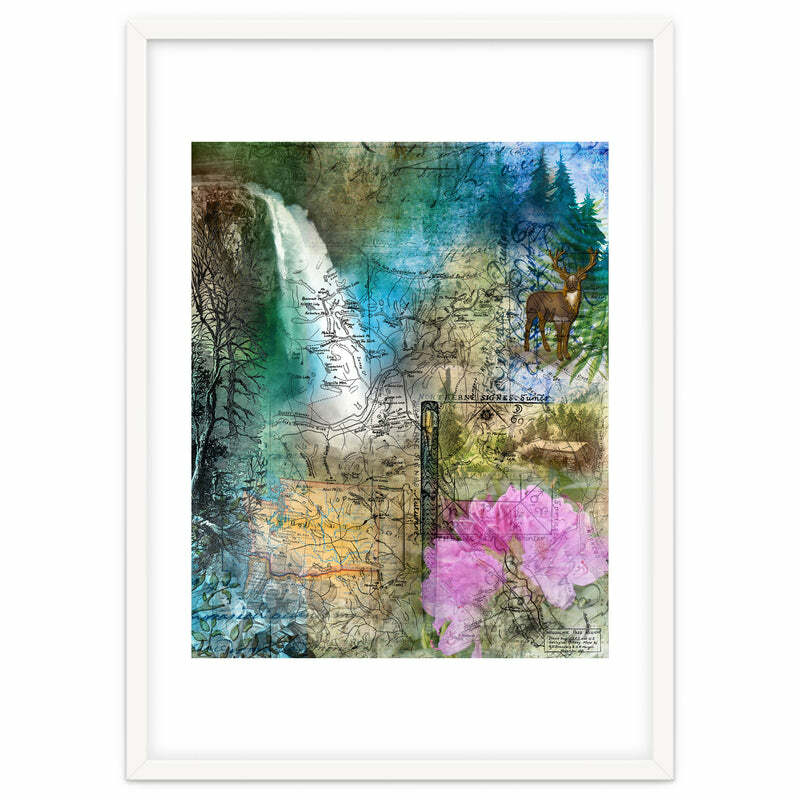 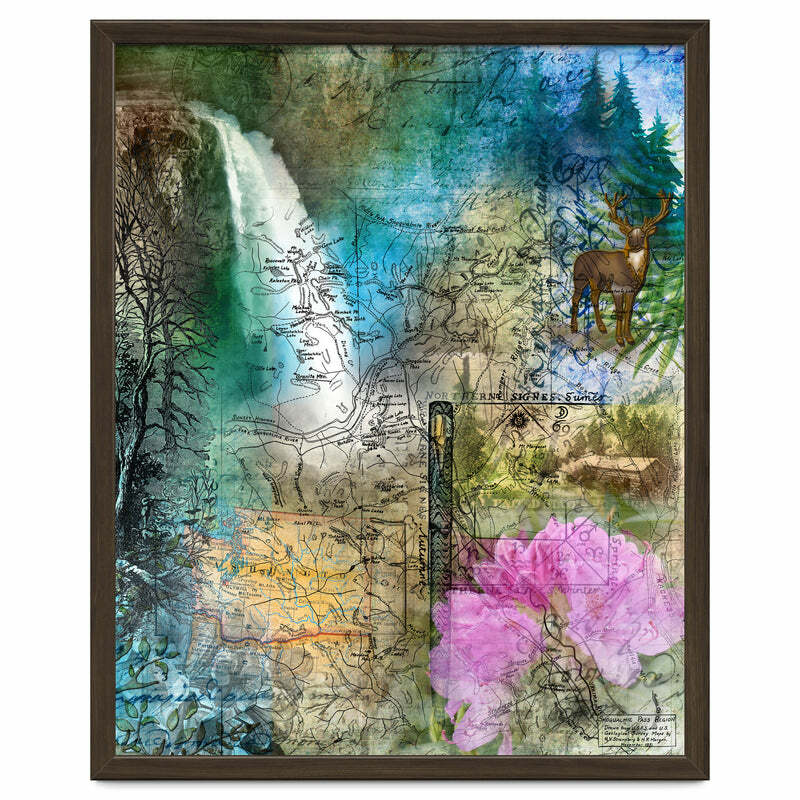 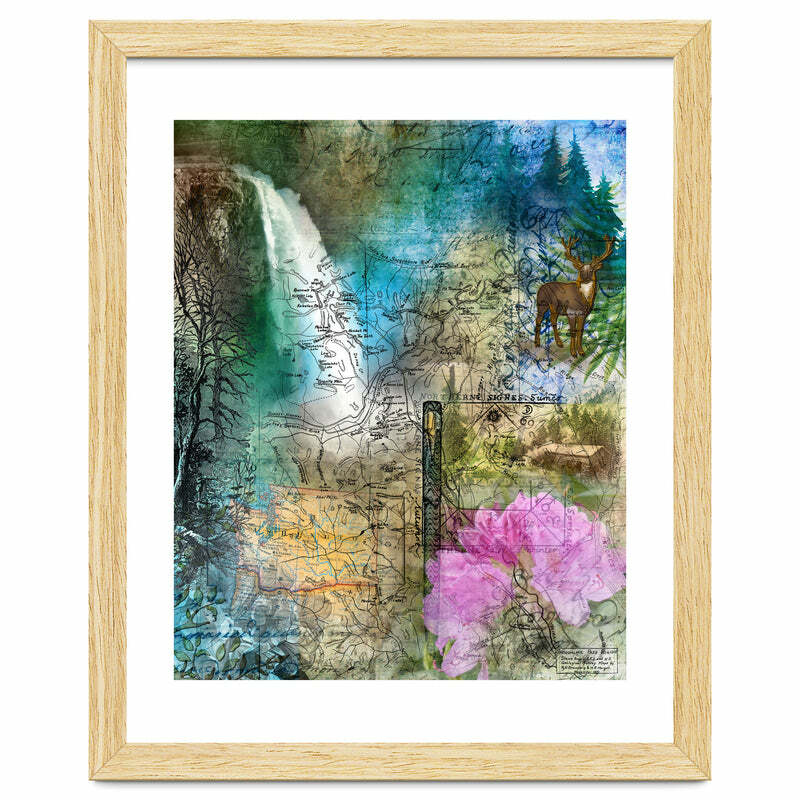 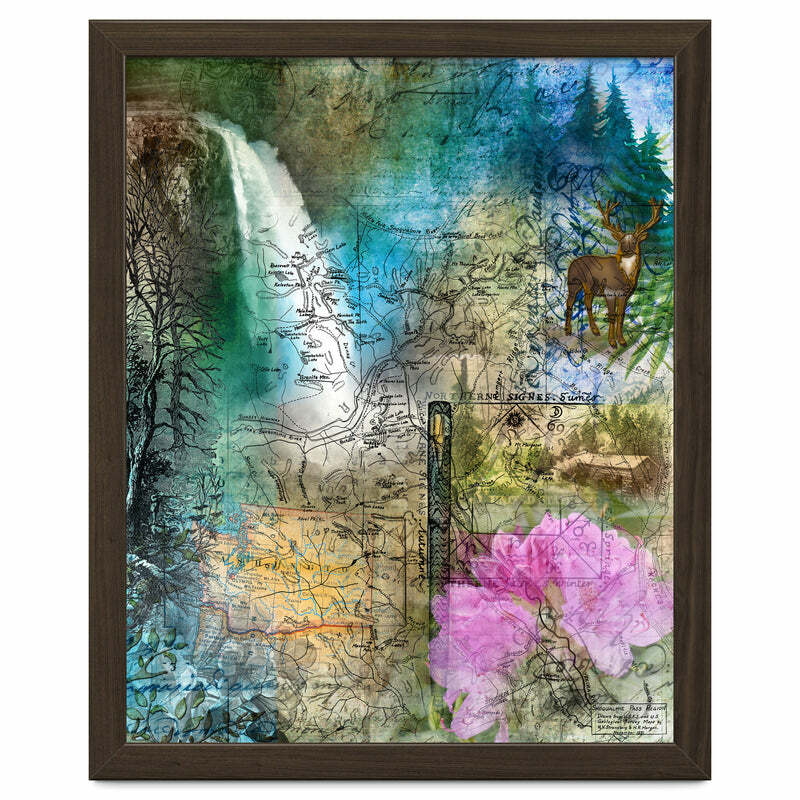 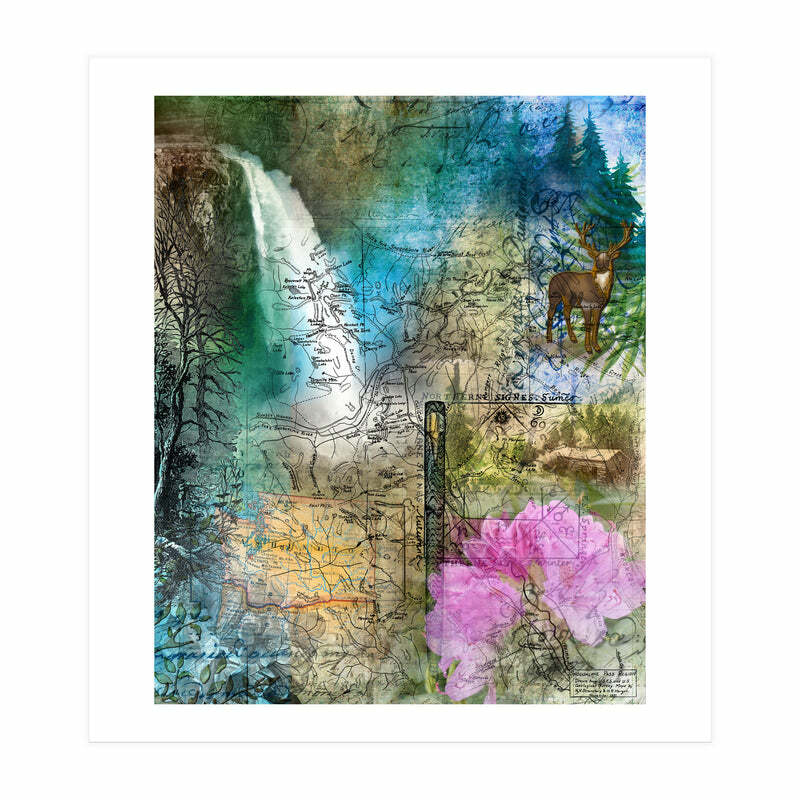 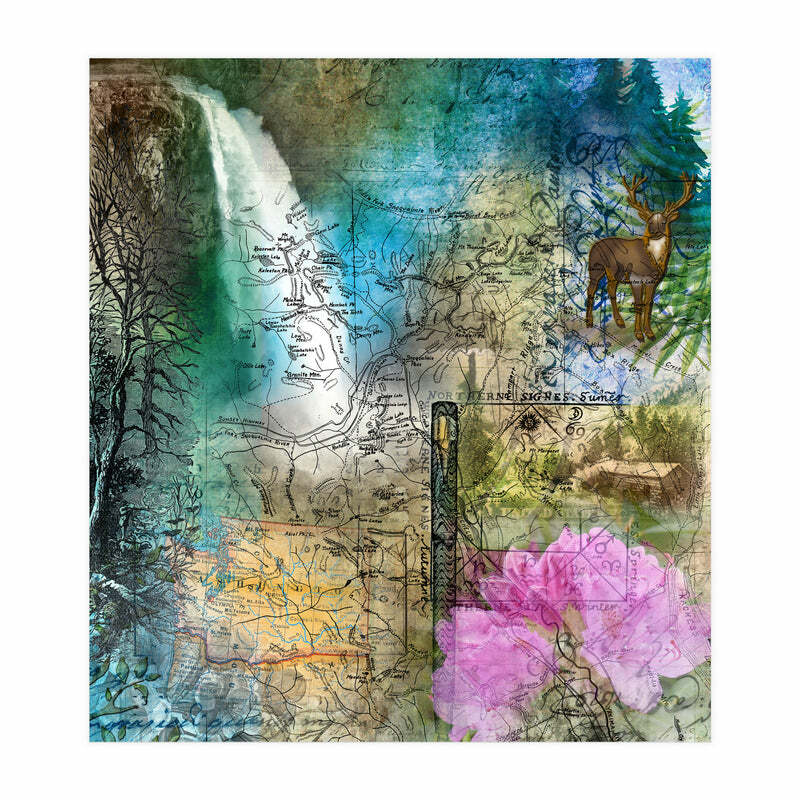 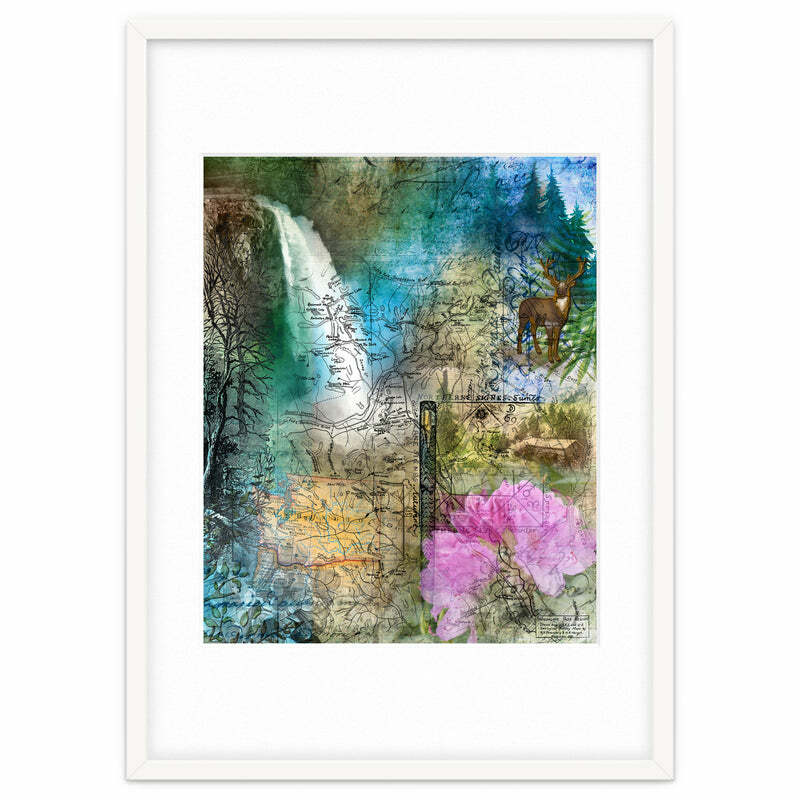 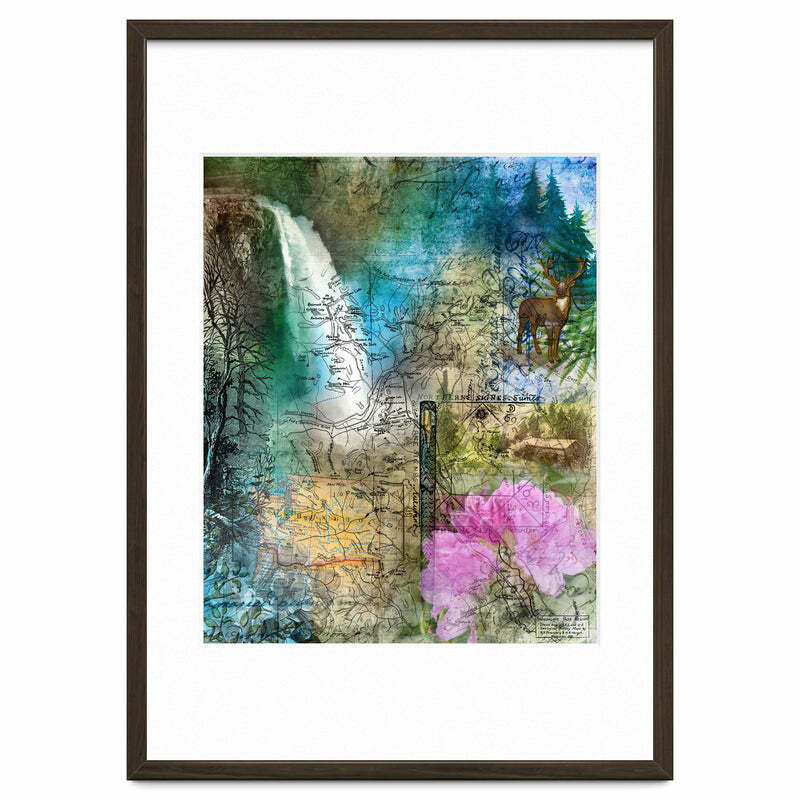 Wildlife, evergreens, ferns, maps and a log cabin nestled among the pines help create the mood, while the Rhododendron, Washington's state flower, and my photo of Snoqualmie Falls remain prominent in the composition.